Not One, Not Two BUT THREE Locomotives arrive at Buckfastlegh! 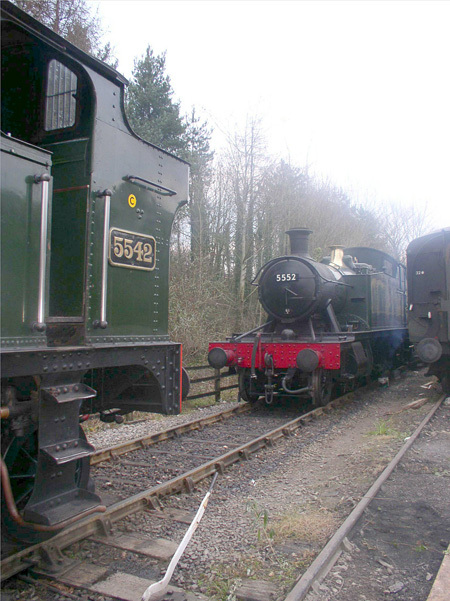 Two 55XX locos have been delivered to Buckfastleigh within 24 hours for winter work. The first arrival was 5552 from Bodmin. That arrived on John Antell's transport from Bodmin on the evening of 7th January. The next move was to Toddington to collect 5542 which arrived late afternoon on 7th January. The intention is for the work to be completed by Easter in time for the SDR's 40th Anniversary Celebrations. After taking part in this event both locos will be off to their respective locations for another busy season's work. So, with home based 5526 in action, the 40th Event should see three working 55XX's working together in addition to other visiting locomotives, details of which have not quite yet been finalised. Watch this space! 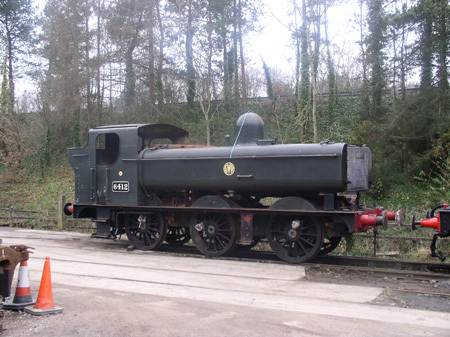 The South Devon Railway's recently purchased 64XX 0-6-0PT 6412 has arrived at Buckfastleigh where it will be overhauled in due course. The main parts of the loco arrived on John Antell's low loader and will be followed shortly by a container load of parts. The engine was purchased for £160,000 and is considered ideal for use on the line where it ran many miles under the auspices of the Dart Valley Railway after the line reopened as a tourist line in 1969.